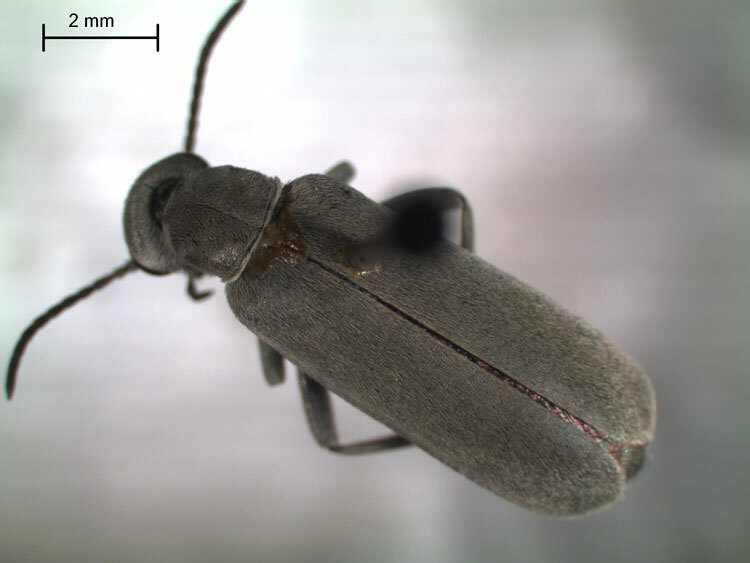 Adult blister beetle of the species Epicauta pruinosa, which is differentiated from adults of E. fabricii by the second antennal segment: shorter than the third segment on E. pruinosa but longer or equal to the third segment on E. fabricii. E. fabricii has a range south and east of Oregon, while E. pruinosa appears to be common in the Pacific Northwest and has a wider range. The two species produce different levels of cantharin, which is toxic and lethal to cattle.